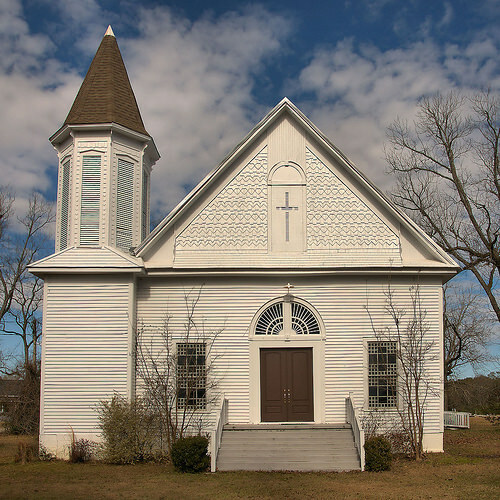 One of Southwest Georgia’s most beautiful and well-maintained historic churches, the congregation of Parrott Methodist was formed after tent meetings by visiting pastors in 1891 sparked an interest in building a permanent church home. Land for the church was donated by Parrott’s namesake, John L. Parrott. This is the church I attended as a child. My cousin is now the minister there.